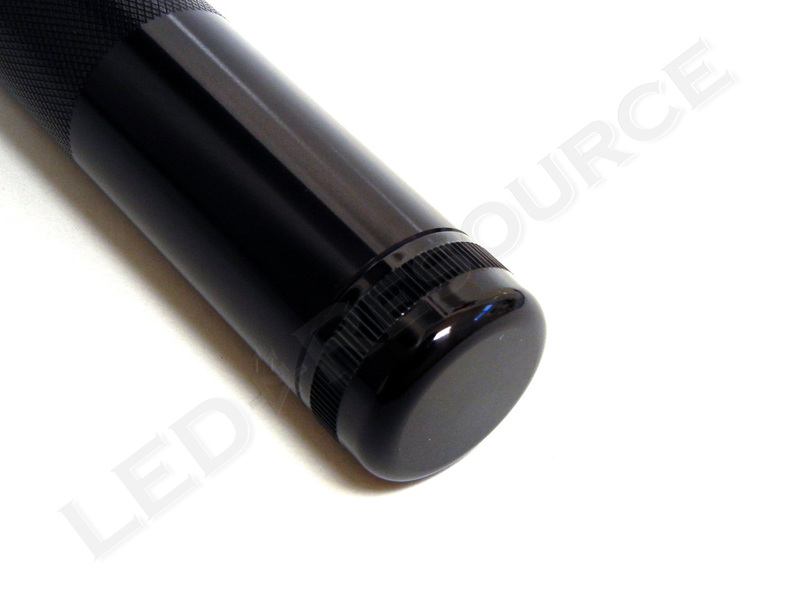 One of the few rechargeable flashlights that can also operate on alkaline batteries, the all-new Maglite ML125 has a sleek new design and flexible user interface choices. 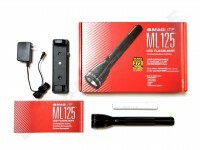 If we could only describe the ML125 with one adjective, it would, without a doubt, be “adaptable.” Utilizing a more efficient LED, combined with variable brightness and a high-capacity NiMH battery, allows the ML125 to easily operate through an entire shift at work, a lengthy power outage, or a weekend in the outdoors. 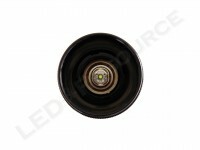 Weight with Batteries (Alkaline): 18.4 oz. Weight with Batteries (NiMH): 20.1 oz. 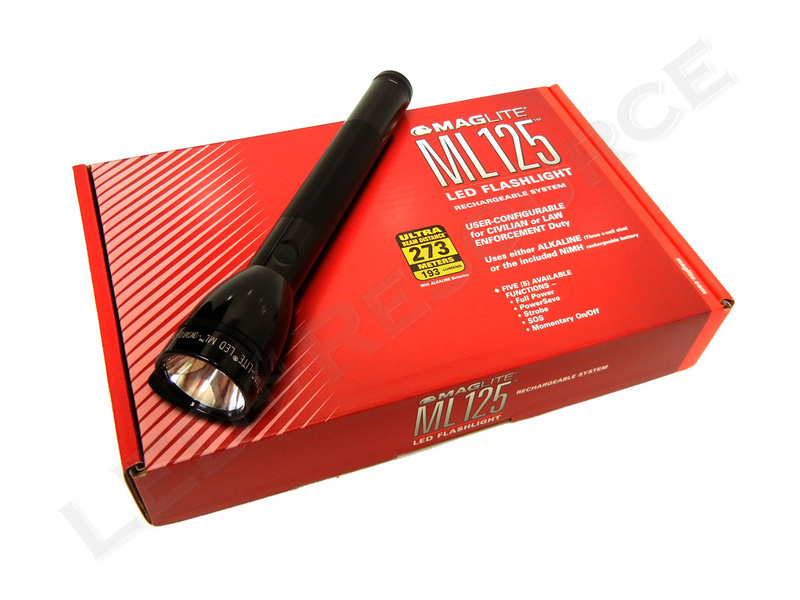 MSRP for the ML125 is about $120, and the light is only available in black. 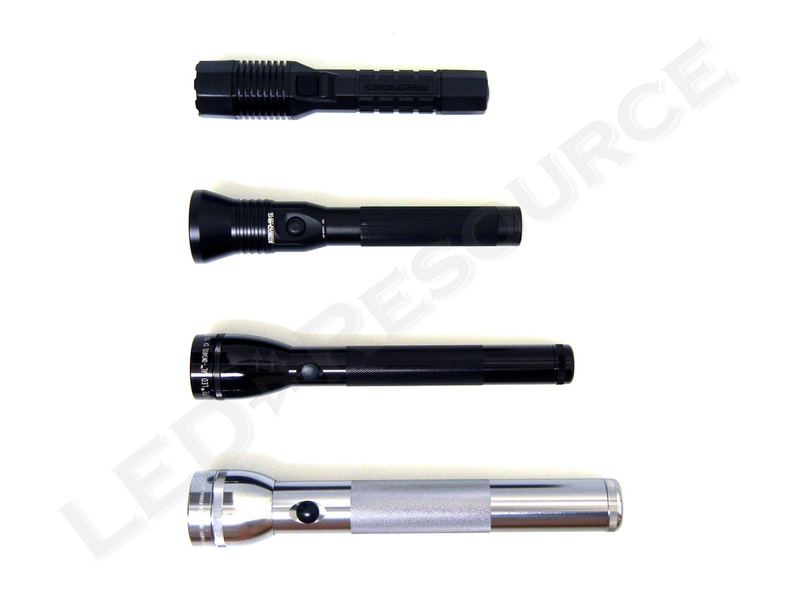 Included in the cardboard box are: Maglite ML125 LED Flashlight, NiMH rechargeable battery, battery charger, AC adapter, and user manual. Two battery configurations can be used to power the ML125: 6V 2500mAh NiMH rechargeable battery pack (included, rechargeable up to 1000 times) or 3 C-cells (not included). To charge the battery, remove the battery from the light and place it in the battery charger. 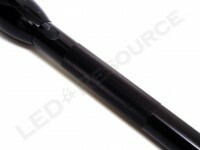 AC power must be connected before a battery is inserted, and a full charge takes up to 2 hours. The charger can be wall-mounted with two screws. Knurling along the flashlight body gives the ML125 better grip, and the light is type-II anodized aluminum inside and out. 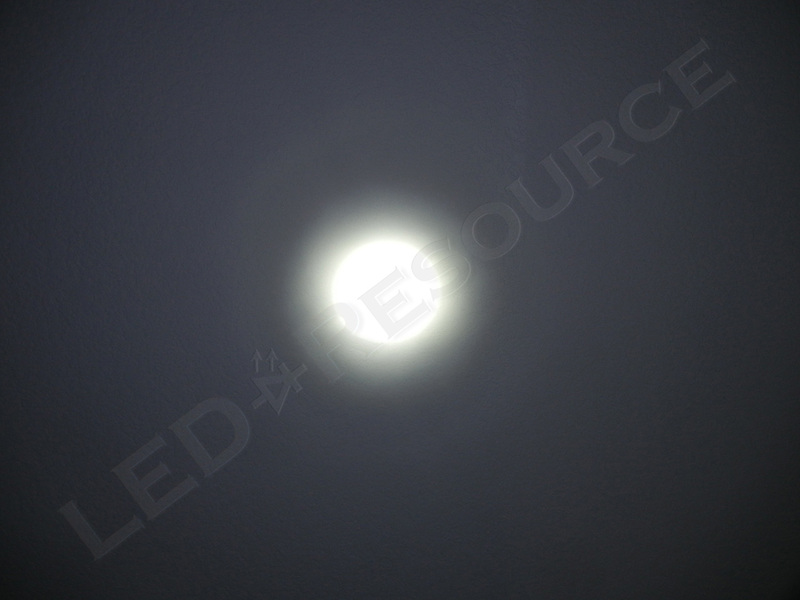 100% brightness at 186 lumens. 25% brightness at 47 lumens. 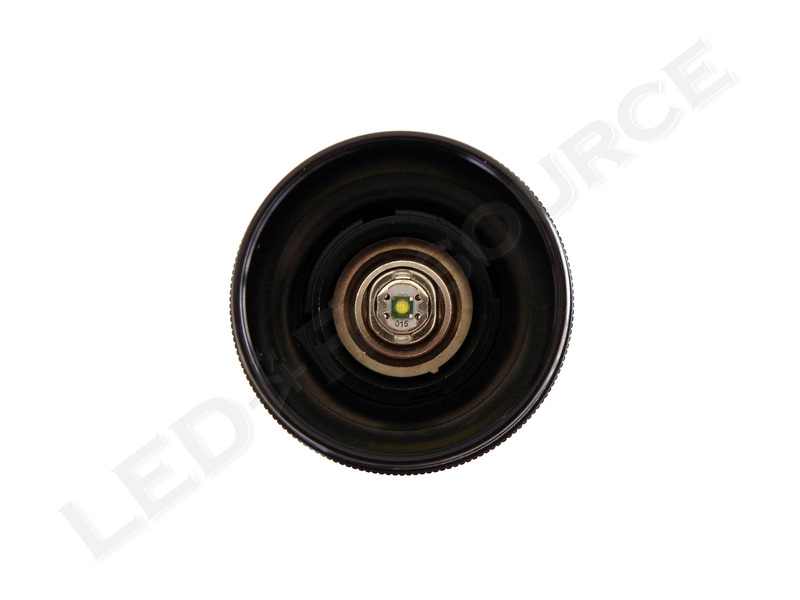 Using the same high performance Cree XP-G LED as the XL200, the ML125 is rated for 186 lumens using the rechargeable NiMH battery. The redesigned focusing assembly allows fine-tuning of the ML125’s beam pattern, if desired. 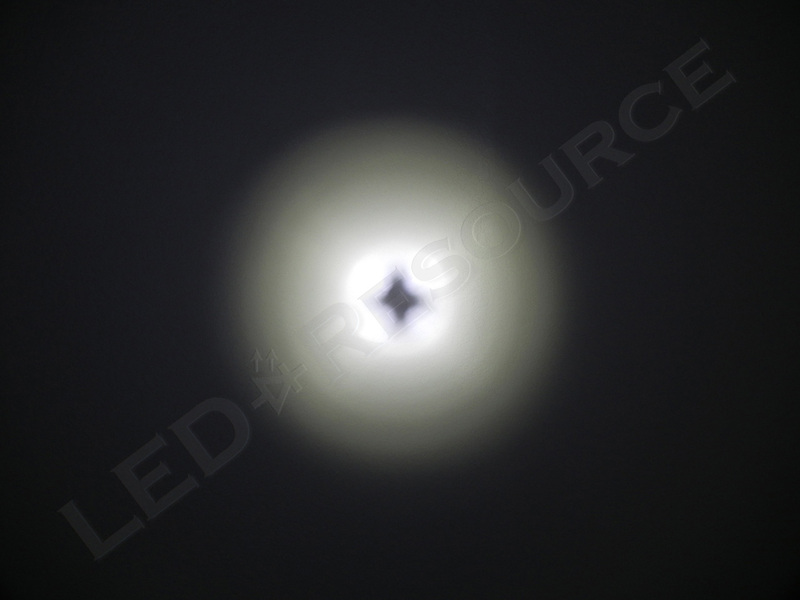 Lights are aligned at the factory and our ML125 has a well-focused beam pattern, so we didn’t find this necessary. 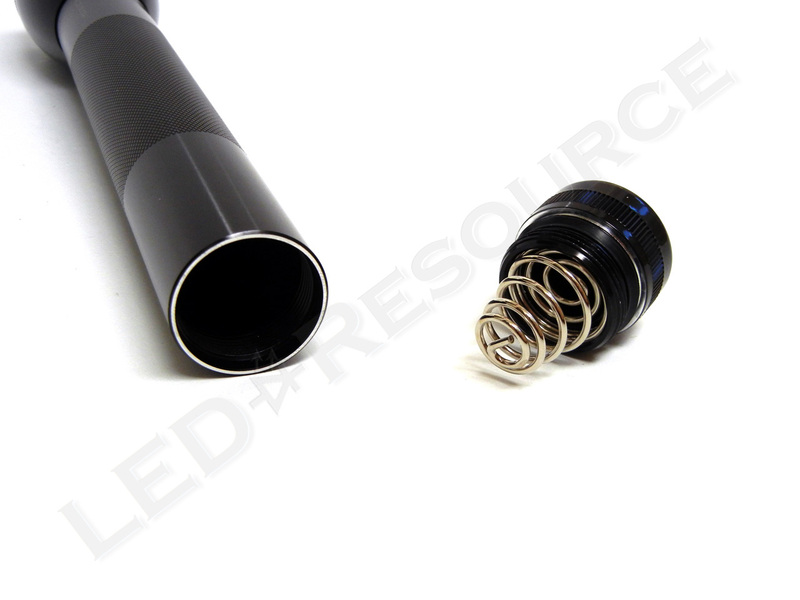 The ML125 has a measured standby drain of 73.9 µA (or 0.0739 mA) on NiMH and 55.5 µA (or 0.0555 mA) on 3 x C-cell, higher than that of the XL-series. Since the larger battery has more capacity than AAA’s used in the XL-series and the tailcap can be locked out, this is less of a concern. 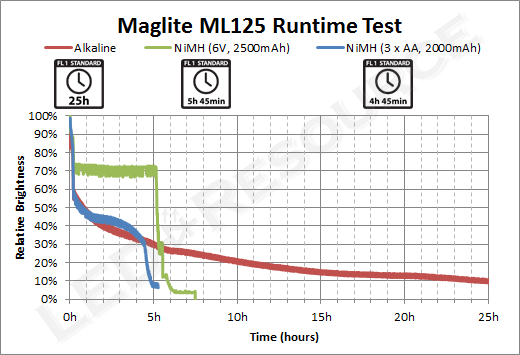 Similar to the XL200, the ML125 has a step-down to 75% after 12 minutes of runtime with the NiMH battery pack. 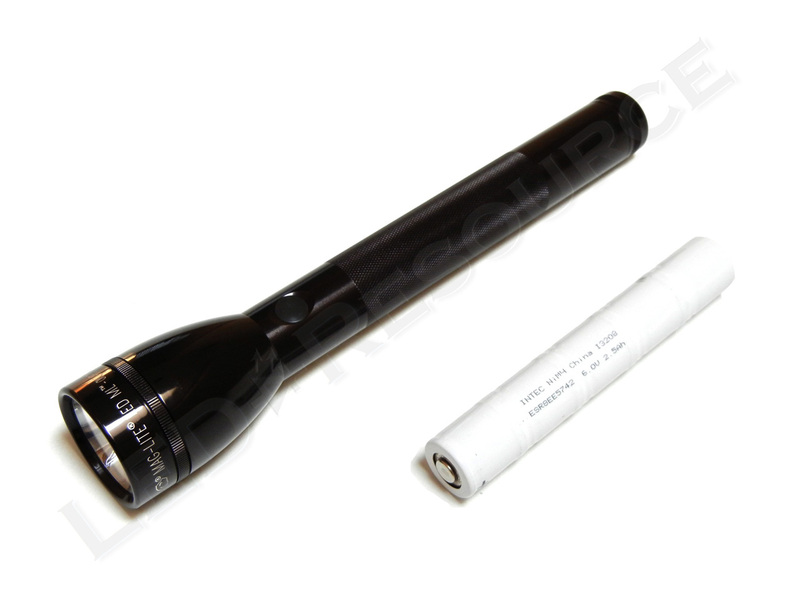 With alkaline batteries, a drop to 50% is seen with continuously decreasing output. 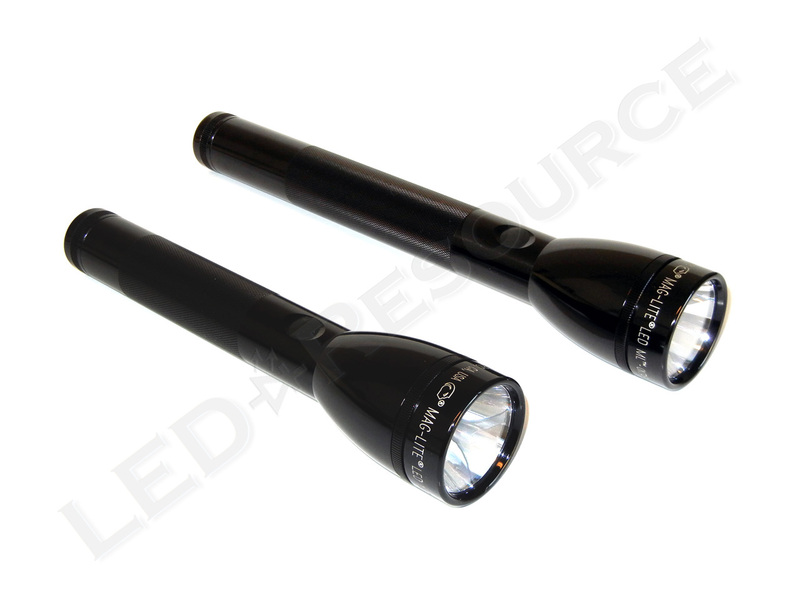 Maglite C-cell mounting brackets and belt rings are compatible with the ML125, but since many mid-sized rechargeable flashlights have similar body diameters, open-bottom holsters (such as the Pelican 7078 below) designed for those lights can also be used. 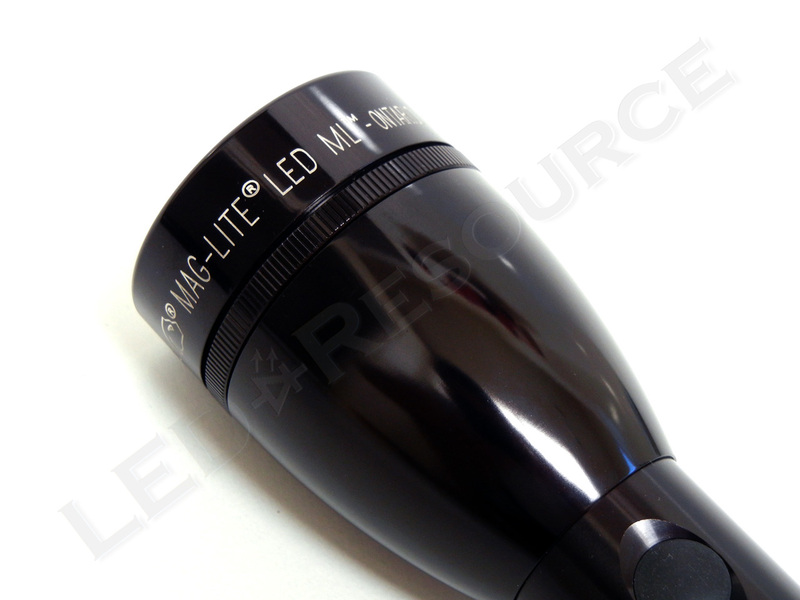 After more than a year of delays and [not so patiently] waiting, we have finally gotten our hands on the Maglite ML125! 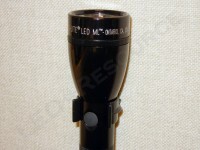 The same “QuickClick” mode-selection method used in the XL50 and XL200 is also used for the ML125, which is easy to understand and operate. Since the ML125 was not designed replace the MagCharger, cradle charge is not supported and the battery has to be removed for charging. 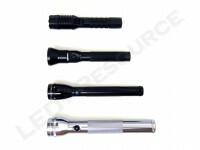 Looking at the brighter side though, this allows regular alkaline batteries to be used interchangeably, a rare feature among rechargeable flashlights. Not many high-performance LED flashlights use C-cells, but we really like the size and feel of a C-cell flashlight. 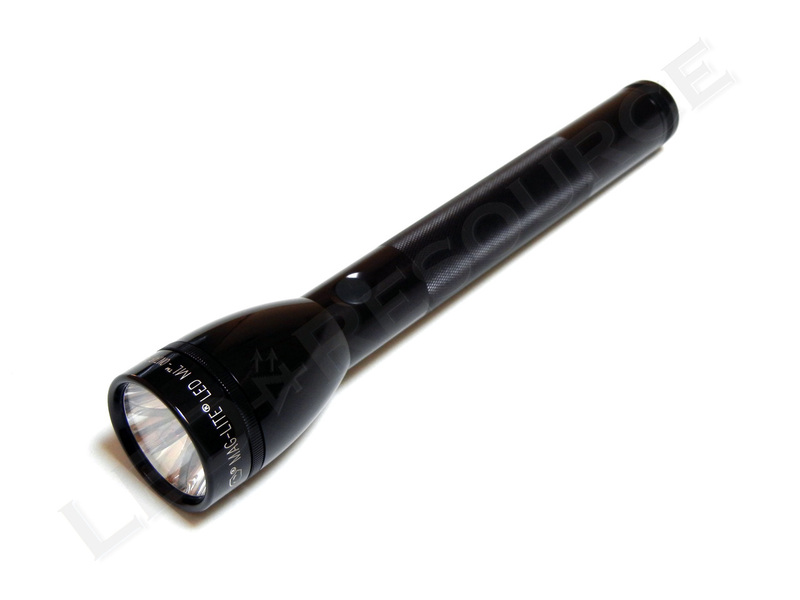 The 3 C-cell length of the ML125 puts it a bit on the large and heavy side, but this allows for a high-capacity, 15 Whr, 5-cell NiMH battery. 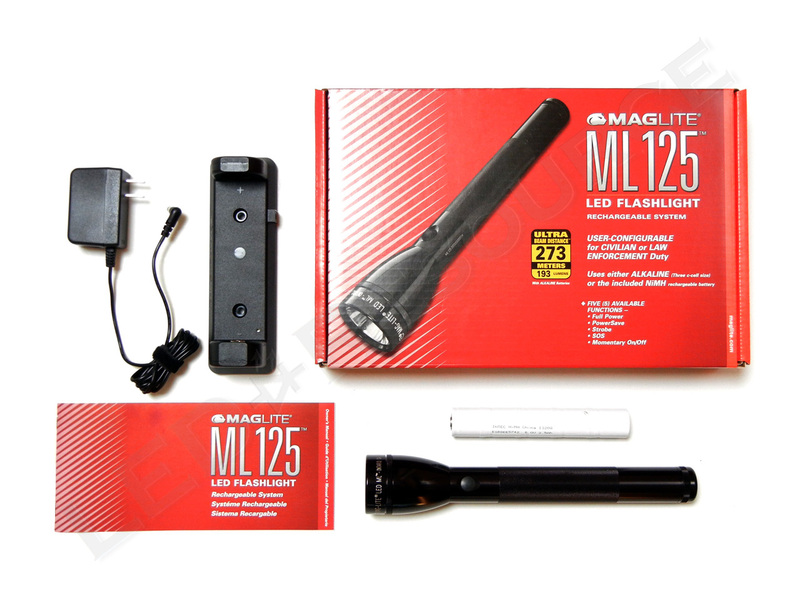 As expected, the ML125’s runtime of over eight hours stands alone among LED rechargeable flashlights on the market today, which have an average runtime of about two hours. Interesting that the NiMH pack operates at 6V while three alky c-cells in series for 4.5V (before voltage sag). I’m guessing the NiMH pack will give a better/flatter regulated output? Yes, that is correct. It’s actually less to do with voltage and more with cell chemistries. At the end of the 8h 30m runtime, high mode will drop to 25%, but until then, output is consistent. 3 x C-cell NiMH will also have the same effect. 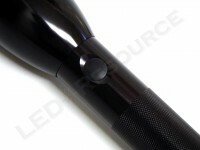 How can i order this flashlight and a holster too? At the moment, the two places that I know of would be Amazon and ZBattery. Pricing is going to be around $100, as mentioned in the Key Specifications. 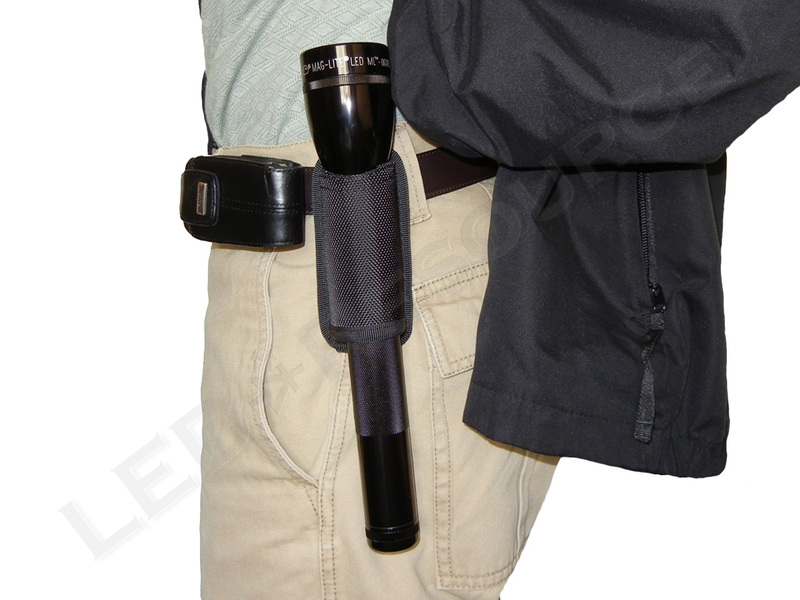 As for a holster, pretty much any open-bottom holster designed for popular rechargeable flashlights will work, so there are quite a few options available. Robin, I’ve had mine for almost a year now. Love it. I have made brighter lights since acquiring my ML125, but I still really like this one a lot. It has a solid build that feels good in hand and the UI is pretty slick. The polycarbonate window has held up pretty well, but I’d like a glass one that is clearer and is more scratch-resistant. 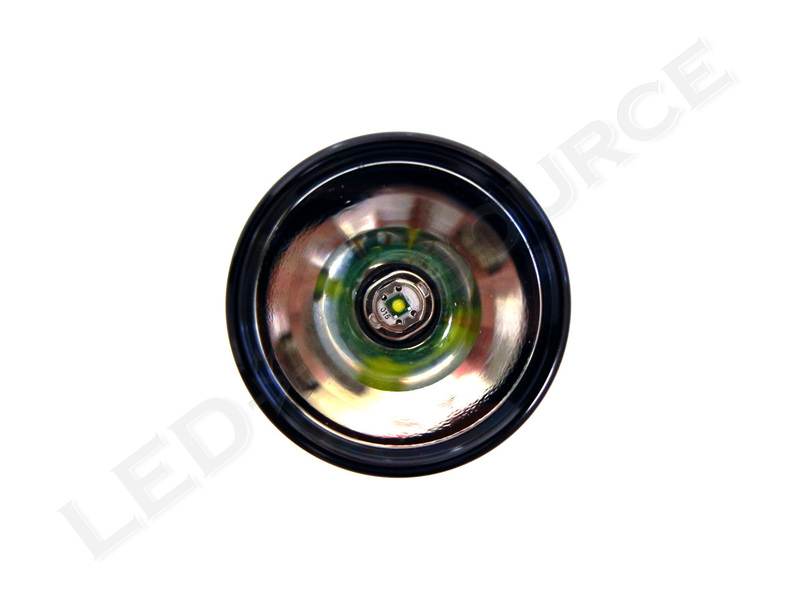 Dealers that I know of don’t carry glass windows for this light. Same goes for replacement reflectors. I will check with Maglite about glass windows for the ML-series. Just wondering, is there any reason you need to replace the reflector? You could try contacting their warranty department and see if they can send you a replcement. Robin: So the head cannot be removed, therefore it cannot be converted to a 6-C? 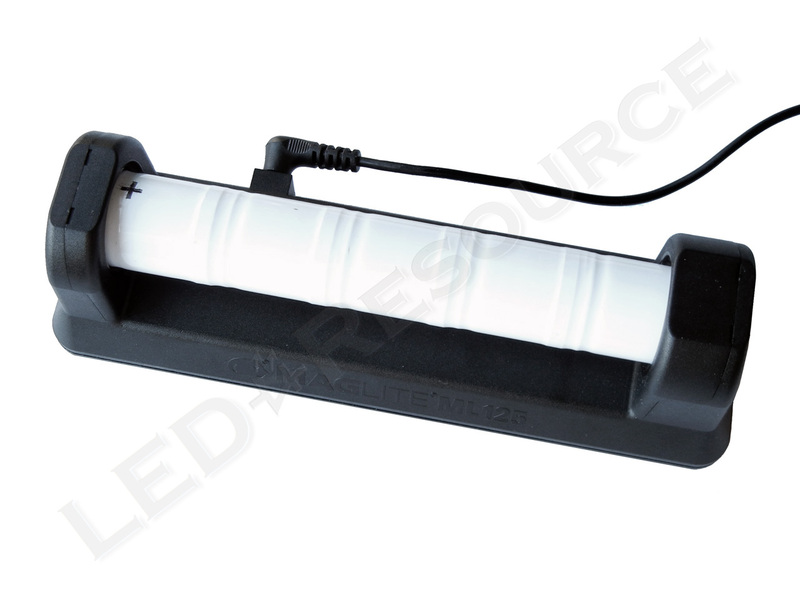 What about 4 CR123A Li-Ion rechargeable batteries (12 volt) and an LED upgrade? Someone has to ask the absurd questions. Besides I’m not necessarily looking for a less weighty flashlight. No, the head cannot be removed. If you use 12V, you’ll almost certainly damage the electronics. 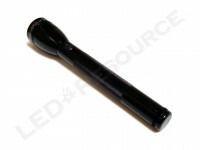 What about 2 Li-Ion 18650s (7.4 volts) in an adapter with a dummy? We cannot remove the head.. yet. 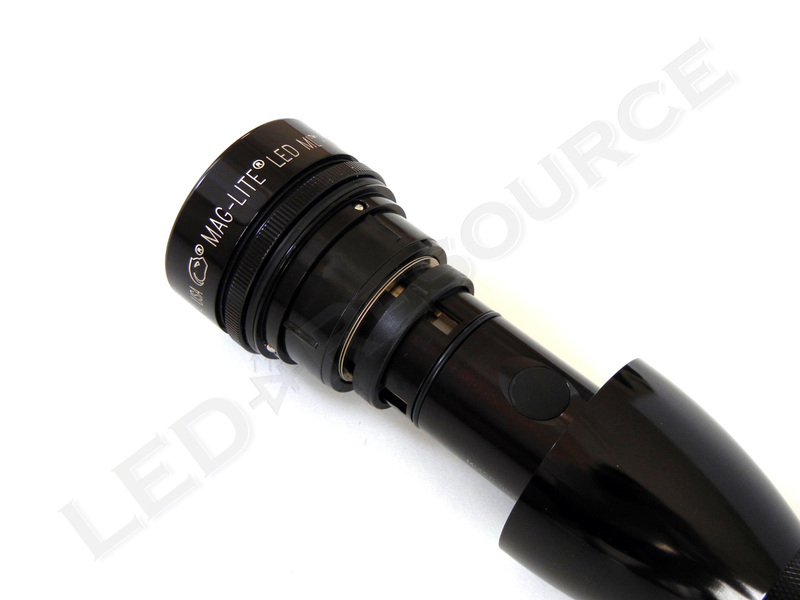 But no doubt, Maglite can 😉 . I haven’t tried it, but chances are better. With lithium-ion, you wouldn’t really be gaining much besides more runtime.